Websites that give customers the option of making transactions online, need to make sure their websites are accessible to all users. There’s an updated tool available to improve website accessibility, which is offered by Software-as-a-Service company Siteimprove. With new features and a redesigned layout for simplicity, the service now allows people to approach tasks based on their job role, making it easier to get started with Web accessibility. Even those with “eAccessibility” in their job titles, however, know that working with Web accessibility can be challenging, but a role-based approach to tasks may be an accessibility best practice. "The division of roles and priorities between a webmaster, editor and developer can create a gap in accountability, one which Web accessibility often falls through," said Nørgaard Bech, senior eAccessibility specialist. "Siteimprove narrows this gap by presenting issues relevant to different roles, streamlining efficiency and accountability." The newly designed tool now offers an issue-specific approach that allows users to easily see issues within areas like headings, links, images and forms. 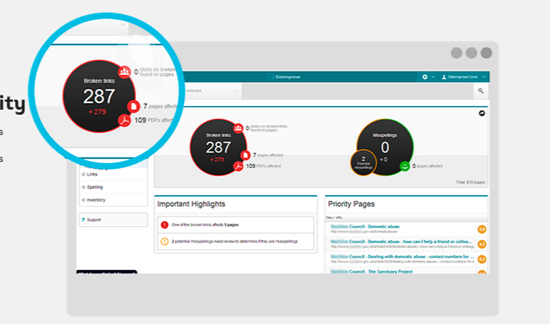 Siteimprove also introduced a color categorization system to aid and simplify task prioritization within the newly designed tool.